Summary: An immensely talented writer whose work has been described as “incandescent” (Kirkus) and “poetic” (Booklist), Thomas Christopher Greene pens a haunting and deeply affecting portrait of one couple at their best and worst. Lately, I've had a hard time becoming swept up in a story. I've read quite a few books that I've enjoyed, but it's rare that I find a book that I can't put down. 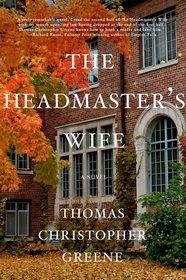 Thankfully, I decided to pick up THE HEADMASTER'S WIFE by Thomas Christopher Greene. I loved the first half of the book for the beauty of the writing and the intriguing characters, and then the author threw me for a pretty big loop... and I raced through the second half of the novel in an effort to make sense of everything. What a wonderful ride! THE HEADMASTER'S WIFE begins when Arthur Winthrop, the headmaster of an elite Vermont prep school, is found walking naked through Central Park. When the police take him to the station, he begins to tell his story which isn't always entirely clear to the reader -- his memories seem disjointed and a little foggy. What the reader does realize pretty early on is that Winthrop is consumed with lust for a female student. At the end of the first section, a shocking surprise is revealed; and I was absolutely gobsmacked! 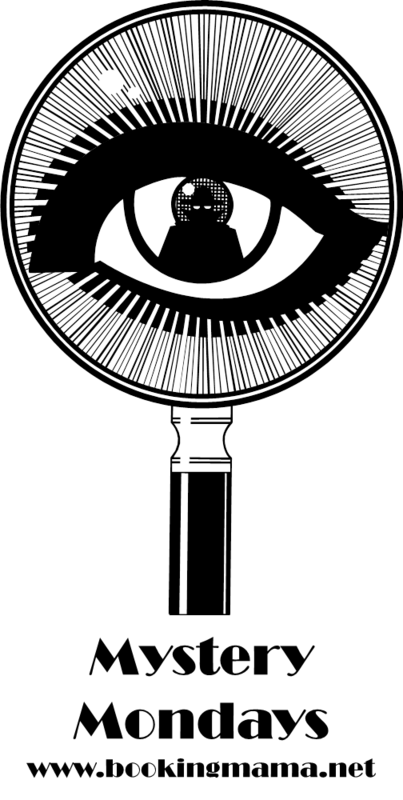 The second half of the novel takes place in the present day and is narrated by a district attorney who once played a key role in Winthrop's life. It is in this section that the mystery is explained and the loose ends are wrapped up. As I reflect back on THE HEADMASTER'S WIFE, I'm finding it difficult to talk about this book without giving away any spoilers. As a result, my review is pretty vague. Suffice it to say, that I went into this book knowing almost nothing about the story and I loved it this way. I recommend the same for all of you! In fact, I'm not sure what I appreciated most about THE HEADMASTER'S WIFE -- the story or the author's writing style. Both were excellent in my opinion. I liked that I was confused by Winthrop's story in the first half of the book, and then I loved the shocker that was revealed. Often times, when an author incorporates a surprise like that, I feel manipulated; however, in the case of this novel, I adored it! I guess what I'm saying is that it was very well done! In addition, the characters were extremely interesting to me -- especially Winthrop. He was an extremely unreliable narrator and I honestly didn't know what to believe given his memories were so clouded and rambling. As the mystery unfolded, I found myself even more intrigued by his past actions as well as his relationship with his wife and son. I would be remiss if I didn't mention how terrific of an author Mr. Greene is. I loved his prose and, while the story itself was fantastic, it was the little things he did with his prose that brought this book to the next level. I loved his descriptions of Vermont and the prep school; and his insights and commentaries about family, lust, and marriage were interesting. I also appreciated how this book looked at class structure. The themes in this book were quite complex and definitely made me think -- always a good sign! I think THE HEADMASTER'S WIFE would make an excellent selection for book groups. Not only is it a suspenseful thriller, but it has some fascinating characters. In addition, there are some themes which warrant further thought including family, marriage, loss, love, memories, mental illness, grief, lust, and class structure. I am so glad that I read THE HEADMASTER'S WIFE. 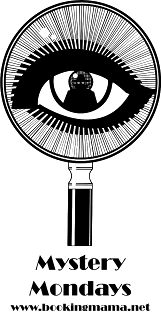 Highly recommended to fans of literary suspense! Wonderful review, Julie! I'm intrigued by the story. I have this one on my iPad and hope to read it soon. I love books set in boarding schools and I'm very curious about this one. I'm glad to see you liked this one so much. I've heard many great things about this book and your review has really got me intrigued now. I liked this book too. It is hard to review and not give away too much. Great job! I really loved this one! And you're right - being vague is the only way to go without spoilers.